Now that a Chinese regulatory filing has all but confirmed a new iPad-focused Apple media event this month, fresh new details pertaining to the upcoming refresh continue trickling in on an almost daily basis. According to Brazilian iOS developer Guilherme Rambo, the 2018 iPad Pro refresh will include a new Apple-designed A12X Bionic system-on-a-chip. 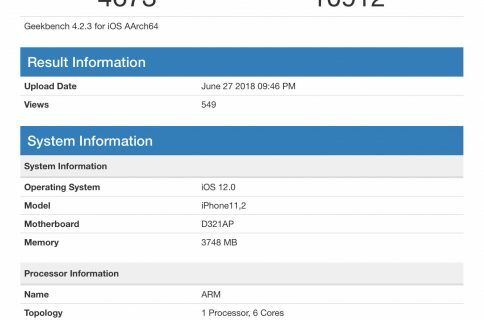 We can confirm that this new iPad will have a new A12X processor, an even faster version than the A12 processor found on this year’s iPhone models. This new processor will also include an even more powerful A12X GPU, according to sources. The chip has a part number “T8027” and is code-named “Vortex”. Although the article doesn’t mention it, “Vortex” is actually the code-name for the two 2.49 GHz high-performance cores in the current A12 Bionic chip (the four energy-efficient cores are called “Tempest”). 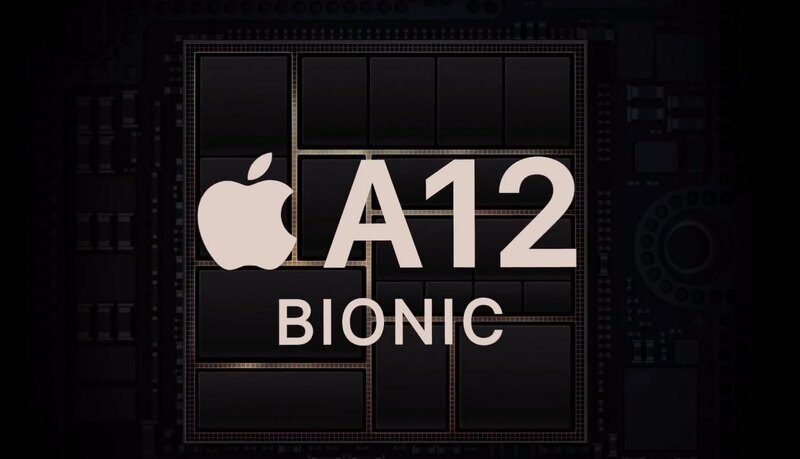 The A12 Bionic in 2018 iPhones sports four GPU cores bringing 50% faster graphics performance than the A11 Bionic in last year’s iPhone X.
We’re not entirely surprised that the enhanced A12X Bionic chip would bring a faster GPU. Due to higher-resolution displays on iPad Pros, delivering smooth animations requires more graphics oomph. Besides, 2018 iPad Pro should be able to drive external 4K displays via USB-C so it’s going to need way more GPU power than the standard A12 Bionic silicon. 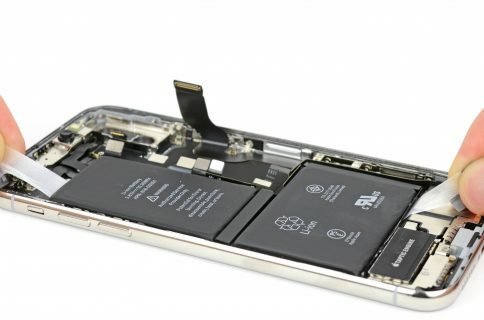 iPad typically run these “X”-branded, enhanced chips. 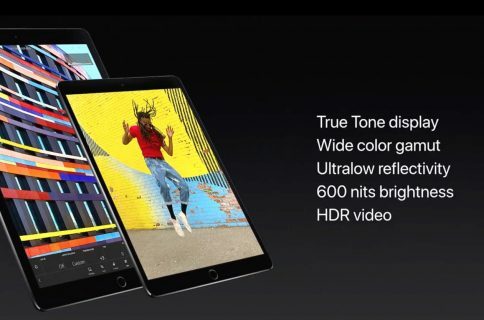 For instance, the second-generation iPad Pros (10.5-inch and 12.9-inch) run an A10X Fusion chip which, compared to the regular A10 Fusion, jumps from four CPU cores to six, doubles the number of GPU cores from six to twelve and slightly increases the clock frequency. Other iPad Pro rumors we read recently point to a new Magnetic Connector replacing Apple’s Smart Connector on the current iPad Pro family, the addition of a USB-C port for outputting 4K HDR video to compatible external monitors, landscape Face ID, a fast-charging 18-watt power brick, skinnier bezels with near fullscreen design without any notches or Home buttons, a second-generation Apple Pencil and other improvements. If the rumors are true, the forthcoming refresh should definitely increase the usefulness of iPad Pro as a true computer replacement Apple wants it to become. The definite computer replacement, in my view, is Microsoft’s Surface Pro tablet/computer hybrid device. As for Android tablets, they have been virtually dead for a few years now so this has basically become a two-horse race between Apple and Microsoft. And thanks competitive pressure from the Windows maker, we expect Apple to unlock the full potential of the already powerful iPad Pro line with such perks as USB-C, desktop-class chips, richer ink support and so forth. Are you looking forward to these new iPad Pros?